I truly can't believe that we're in our final month of Summer Break! Summer just flew by. We just completed our eighth week of Camp Mom and sadly, we only have 2 more weeks left of our scheduled weekly Summer activities. The final two weeks of Summer Break will be too busy to for any additional activities. Packing for vacation, celebrating Liam's birthday, spending a week at the beach and preparing for back to school will consume those final days of Summer. Our days are already getting busier as we wrap up Summer and prepare for the school year ahead. 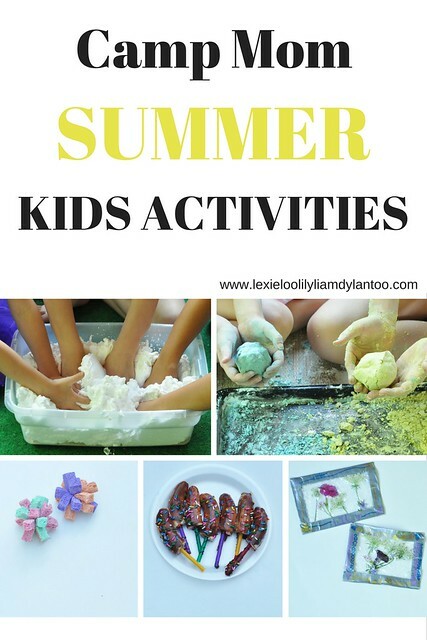 This week, we had to cram a few of our kids activities into one day, but we still had fun! Here's what we did for Camp Mom Week 8! This was the favorite activity of the week! It was easy to prepare and the kids just loved it! Mix 10-12 cups of sand with a full can of shaving cream in a large container. Sit back and watch as the kids dig in. It has such a neat texture! I'm a big fan of simple crafts that older kids can do themselves. Minimal supplies is a plus, too! I sent the girls on a scavenger hunt to find flowers in our yard. 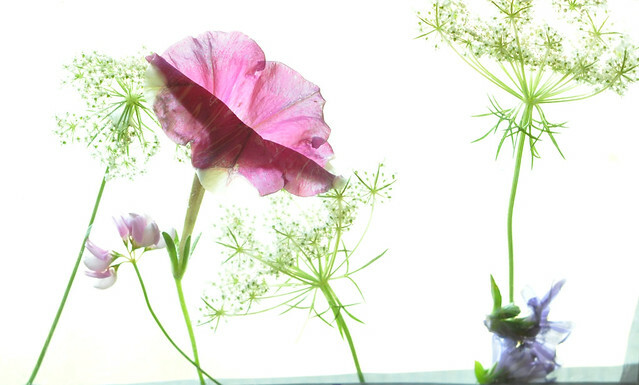 When they returned, I had each of them make a garden on top of a sheet of smoothed-out plastic wrap. 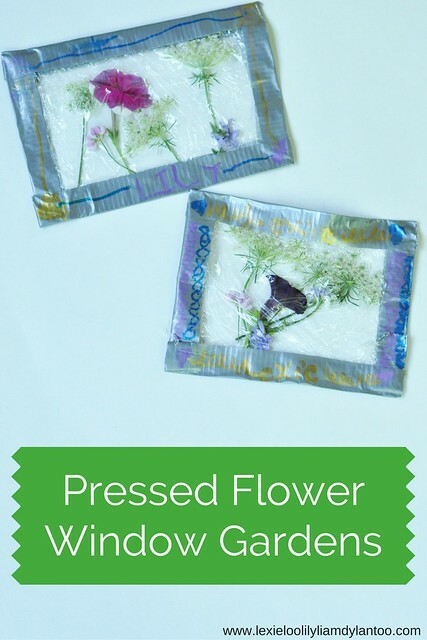 Once their garden was arranged, they folded the plastic wrap in half over the flowers and made a frame around the edges with duct tape. We couldn't find our fancy duct tape, so we used regular and I had the girls decorate it with metallic sharpies. Once they were finished, we hung them in a window. They look beautiful with the sunlight shining through! 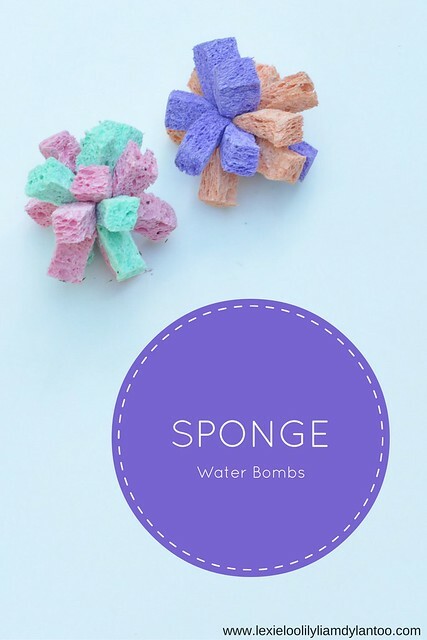 Sponge Water Bombs are easy to make and so much fun to play with! Buy inexpensive sponges from the dollar store, cut into strips lengthwise, bunch 10-12 strips together and tie tightly in the middle with rubber bands. 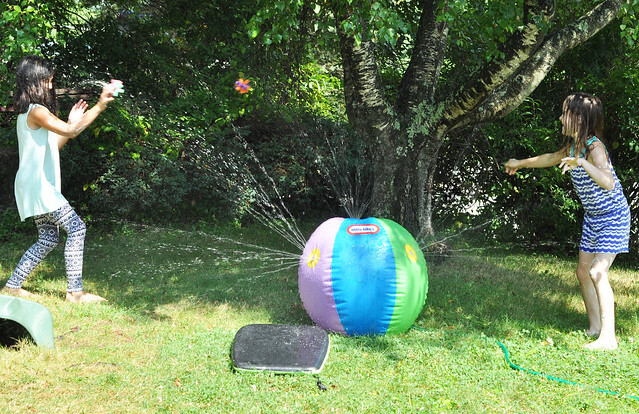 Fill a bucket with water, toss in the sponge bombs and let the kids have a sponge bomb battle! 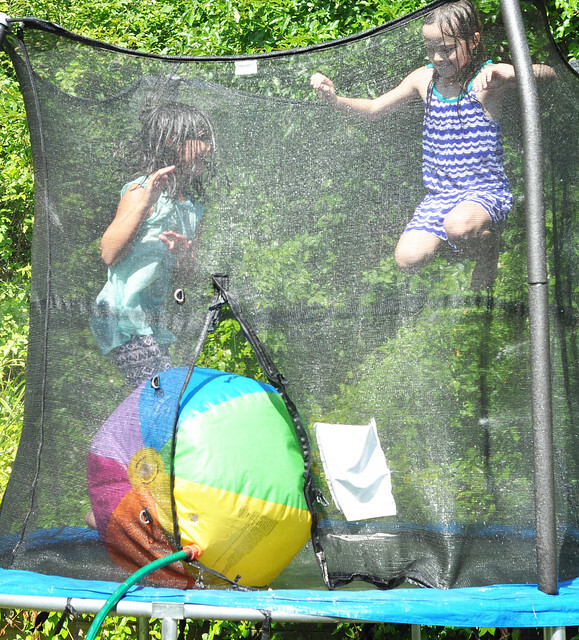 Bonus creativity points for moving everything onto the trampoline! For this activity, I sat out the ingredients and let my future chefs/bakers do all the work! Cut bananas in half and place them on a stick. Popsicle sticks are preferable but we used skewers with straws over them. Melt 1 bag of chocolate chips in the microwave with 1/2 cup shortening. 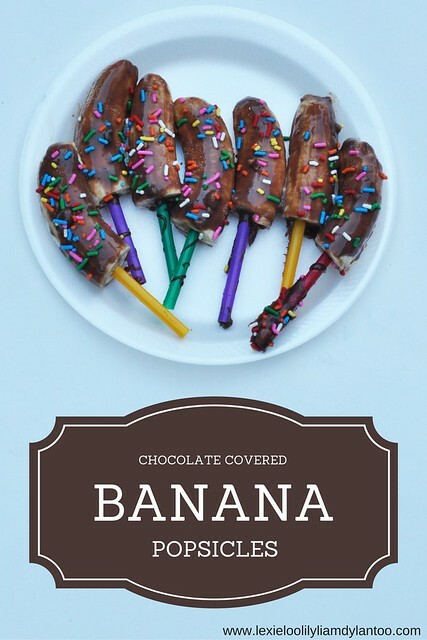 Dip bananas into the chocolate or drizzle with chocolate. Place on a cookie sheet and decorate with sprinkles. 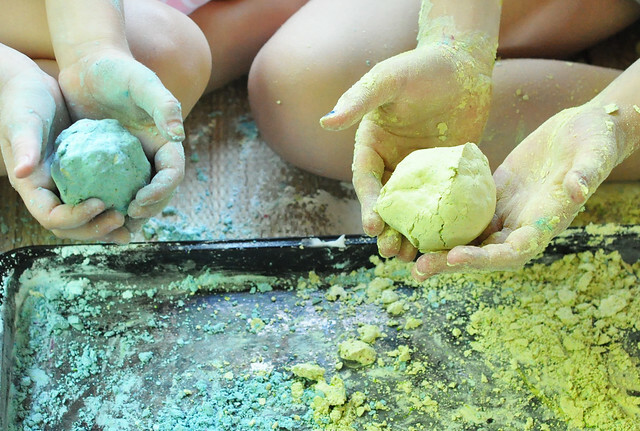 This is a simple sensory play dough recipe using just two ingredients: corn starch and shaving cream! 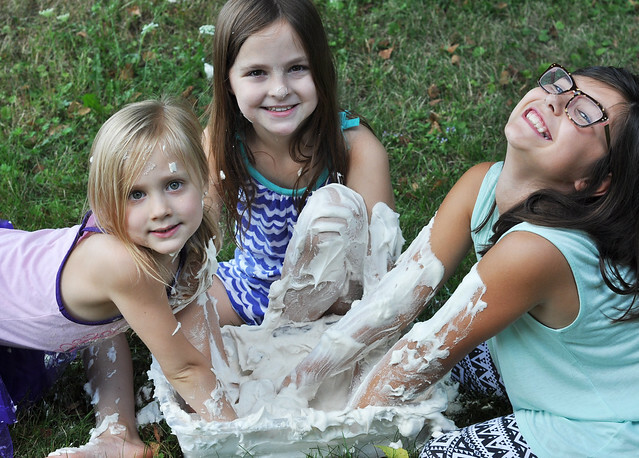 Mix 1 cup of corn starch with 3/4 cups shaving cream. You can add more shaving cream or corn starch as needed until you get a dough-like consistency. Knead with your hands then add in a few drops of food coloring if you prefer colors. This super soft play dough has such a neat texture! Camp Mom is so much fun that we are going to continue doing at least one weekly activity throughout the school year! 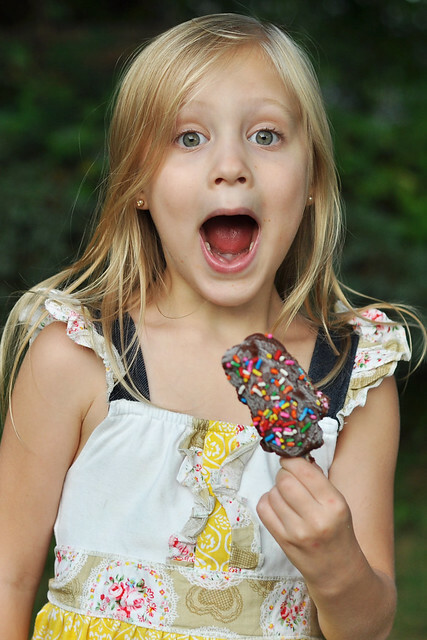 What activities do you have planned for the final days of Summer? I know I've said this before, but I want to come play at your house all summer. :) I love all of these activities. Everyone looks like they had such a great time. Nice job momma. Those banana pops are so fun and make me think of Arrested Development too :P. Looks like another great week at Camp Mom! Can you adopt me?! Your house looks like a blast! You're awesome...seriously awesome! Ooooh awesome ideas! I want to do those bananas for sure! That sand foam sounds interesting, but my eldest is really weird about textures and he might freak out, lol. 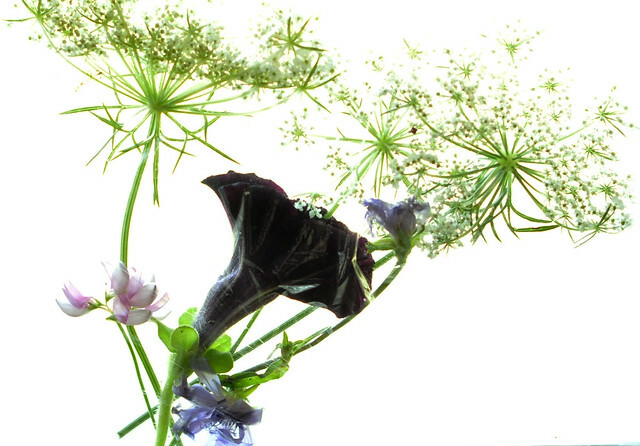 I love the idea of the pressed flowers, so fun and simple! I love these ideas but especially the sponges! I've been looking for things to do with my oldest. These sound so fun! I want to come play at your house! I'm going to pick up some shaving cream and try some of these with Parker. So fun! These all look so fun! My son would love each one! The pressed flowers may be my favorite thing that y'all have done so far! This is SO something that I would have done as a little girl! And my best friend and I totally used to make those banana pops when we were younger! SO GOOD! Oh goodness- Lily looks 12 in that picture with the banana pop!